(Phys.org) —A team of Chinese researchers working at Sun Yat-Sen University has found a possible way for drinkers of alcoholic beverages to minimize their risk of developing a hangover and other negative side-effects: consume Sprite. In their paper published in the journal Food & Function, the team describes how they tested a host of beverages to determine which best boosts the production of an enzyme that breaks down acetaldehyde, a harmful chemical that is created as the body breaks down alcohol. Human beings have likely been looking for ways to cure the negative side-effects of consuming alcohol since first stumbling across the fermentation process. Symptoms such as an aching head, dry mouth and sensitivity to noise have been the sad result of untold numbers of nights spent drinking. Unfortunately, none of the remedies discovered thus far have proven to be of much help. That may change soon, if the team in China is right. Drinking Sprite they say, just might build up a good enzyme that helps to get a bad chemical out of the body as quickly as possible. The team in China based their study on other research that has found that when people drink an alcoholic beverage, the body undertakes a two-step process in dealing with the alcohol in it. First, an enzyme called alcohol dehydrogenase (ADH) sets to work to breaking the alcohol down into acetaldehyde. Next, another enzyme, called aldehyde dehydrogenase (ALDH) breaks it down further into acetate. It's the first step, apparently, that causes problems—it's acetaldehyde that causes the brain to swell leading to hangover pain. The team in China believes that chemicals that cause an increase in ALDH should help alleviate the problem by getting rid of the acetaldehyde faster—before it can cause brain swelling. But rather than working up a new drug, they looked at commercially available beverages to find out if any of them might do so naturally. They tested 57 different beverages ranging from teas to soft drinks—of all of those tested, Sprite (called Xue bi in China) performed the best. The team hasn't yet begun testing the use of Sprite to prevent a hangover in actual human subjects just yet, but indicate they are making plans to do so. They may not have to, of course, as news of their research will almost certainly lead to widespread testing of the soft-drink as a hangover preventative technique by large numbers of drinkers worldwide. Various alcoholic beverages containing different concentrations of ethanol are widely consumed, and excessive alcohol consumption may result in serious health problem. The consumption of alcohol beverages is often accompanied by non-alcohol beverages, such as herbal infusion, tea and carbonated beverage to relieve drunk symptoms. The aim of this study was to supply new information on effects of these beverages on alcohol metabolism for nutritionists and the general public to reduce harm of excessive alcohol consumption. Effects of 57 kinds of herbal infusion, tea and carbonated beverages on alcohol dehydrogenase and aldehyde dehydrogenase activities were evaluated. Generally, effects of these beverages on alcohol dehydrogenase and aldehyde dehydrogenase activities are very different. The results suggested that some beverages should not be drunk after excessive alcohol consumption, and several beverages may be potential dietary supplement for the prevention and treatment of harm from excessive alcohol consumption. I will report results tomorrow. I looked up the paper (free with registration) but all the names of the beverages are all in Chinese. Can somebody speaking Chinese translate some of them to English, to give example of the teas and beverages they tested against Sprite? I learned in college that consumption of at least 30 oz of a clear non-alcoholic beverage (water, iced tea, Sprite, Mountain Dew, etc.) before going to bed dilutes the blood alcohol (making the work of the liver a little easier) and prevents the dehydration that is associated with hangover headaches. Better to pee than puke. We definitely need to apply for a government grant to fund further testing. To save valuable research money, I propose combining this experiment with other experiments, such as the effects of playing many continous hours of video games and my new all-pizza diet. IMO chemical drinks like the Sprite could cure virtually every illness including cancer, because they do mobilize the hidden reserves of organism into fight against such a beverage. No to say about their persistent abiotic and disinfecting action at distance, where the bacteria are screaming in pain loudly. Hey everyone on here with cancer, fire your oncologist. Franklins is bringing you a 12-pack of Sprite. Hopefully not diet Sprite though. That stuff only cures heart disease and kidney failure. 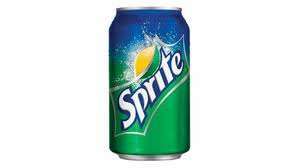 IMO chemical drinks like the Sprite could cure virtually every illness including cancer, because they do mobilize the hidden reserves of organism into fight against such a beverage. Everything you drink is a chemical. Do you mean to say synthetic (non-natural) drinks? That's a pretty broad category. Are you claiming that all non-natural (whatever your definition) drinks (and foods?) are harmful? No to say about their persistent abiotic and disinfecting action at distance, where the bacteria are screaming in pain loudly. Leaves me wondering what they sound like. Got any MP3 samples? Tadchem, you're right. I've heard that if you drink a lot of water at the end of the night, it helps prevent hangover the next day (depending on how much you drank, I guess). You'll probably still feel like crap to some extent. Sinister - it's true mate. I've conducted my own studies in this area and I can report with confidence that one litre of water and two ibuprofen pills before laying down on the fluffy helicopter blades does indeed make the next morning much more bearable. TD, You're right mate. We should get those published too hehe. Yeah, same here - I've had the experience as well, and it does work. Yep, ibuprofen helps as well. Not much with the spinning sensation though. It's strange how they didn't test water against the soft drink. Drinking water definitely helps, but I usually drink something like gatorade and take a multi-vitamin. try not to mix strong alcohols for starter. have a meal before you eat... complex carbs and breads help absorb some of the alcohol. drink at least 8oz water for every 4 shots (2 double shots) WHILE you are drinking. For beer, drink the water after every 2nd beer. yeah, you have to piss more, but it helps. it is the combination of alcohol poisoning the system with the dehydration that causes the most extreme effects. mitigation of dehydration with water / gatorade (thank you for the reminder dtxx) helps dilute and restore equilibrium. if you get funding, I volunteer to be a test subject!